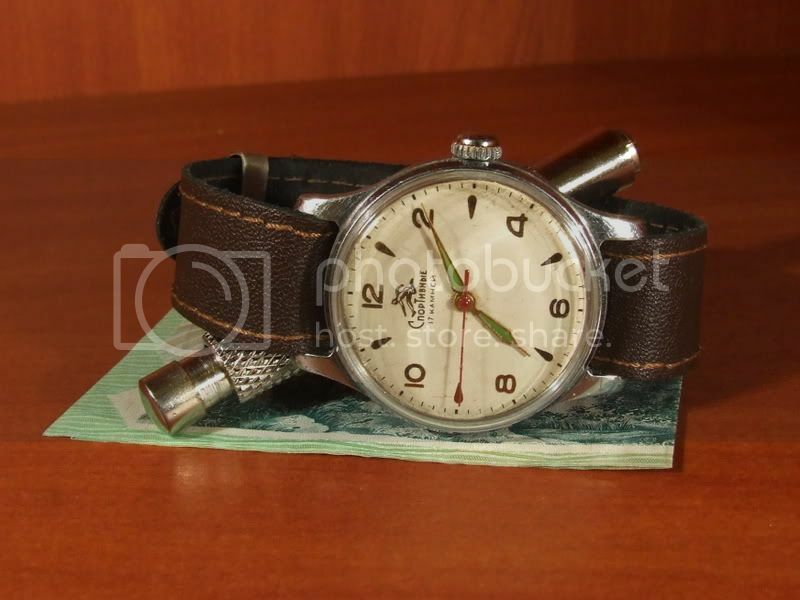 Sportivnie watches were produced by the first Moscow Watch Factory in the 1950ies and early 1960ies. They were fitted with two versions of a hacking stop caliber produced by the First Moscow Watch Factory; an earlier 15 jewels movement and an improved 17 jewels one. This watch has the 17 jewels movement and a one-piece screw in backcase. Hands on this watch are probably wrong, see watch #42 for a piece with correct hands.